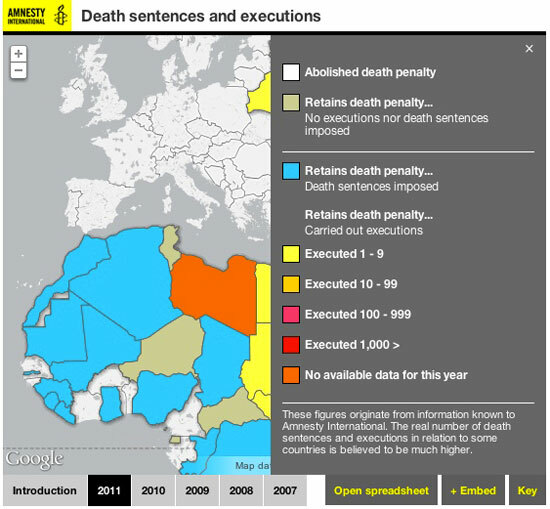 I designed and built this project for Amnesty International to give people an overview of the countries with the death penalty and allow them to explore the most recent figures. 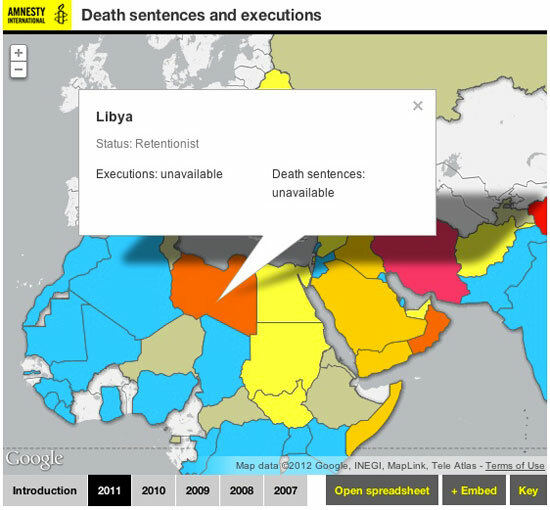 I used Google Fusion to map the data. 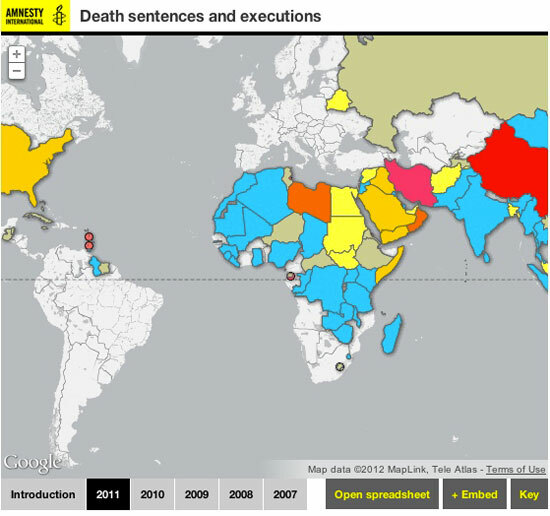 Amnesty International had a lot of data on death penalties and executions around the world. They wanted to display this data in a way which was easy to understand. They also wanted people to be able to access the data and perhaps use it in their own work.